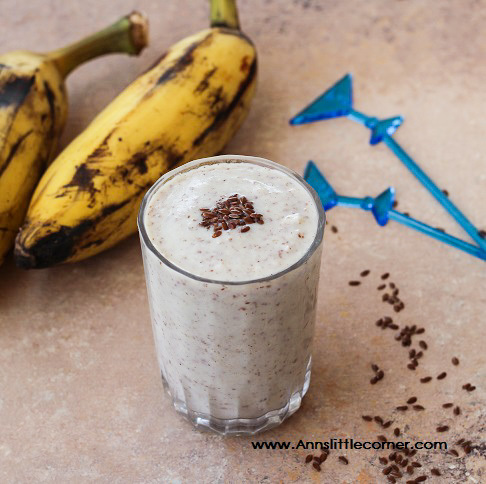 Banana Flax Seed Milkshake / Banana Flax Seed Smoothie is a healthy and filling breakfast option. 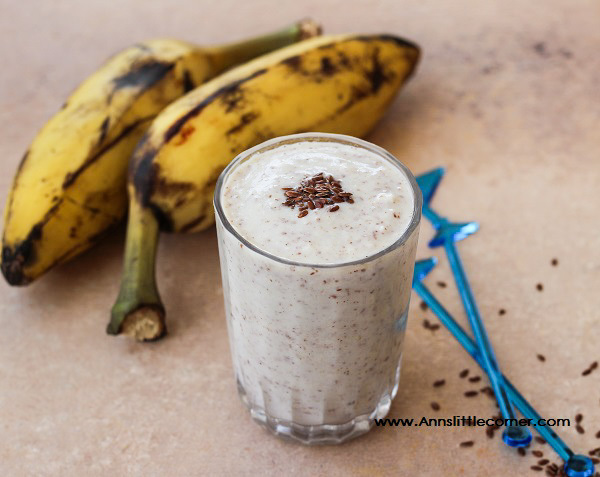 Milk and banana combined together gives a filling breakfast drink that keeps up full until lunch. Additonal bonus it is filled with vitamins, minerals and omega 3s. This is even very easy to prepare on a busy weekday morning. A good option to use up the over ripe bananas lying in the pantry. This milkshake has a creamy texture and nutty taste. 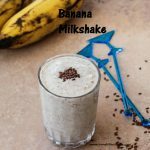 Checkout other milkshake recipes available in this space. 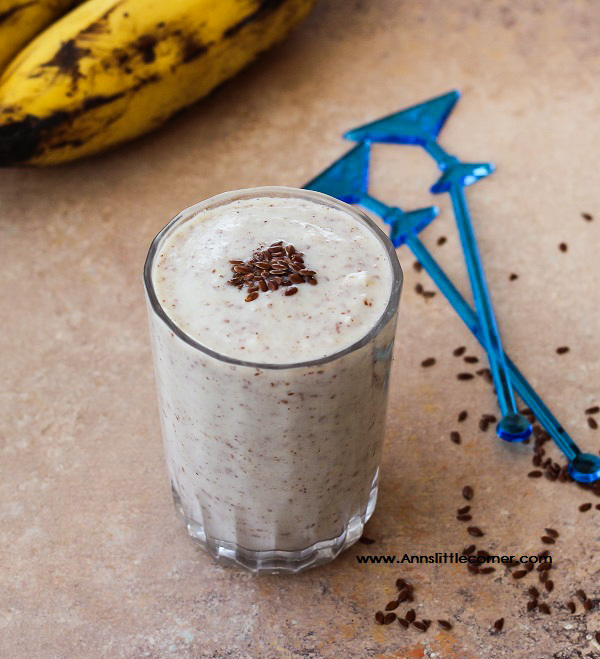 Banana Flax Seed Milkshake is a creamy and nutty smoothie. Add all the ingredients into a blender and blend them into a smooth paste. Serve them immediately for best taste. Almonds, Cashews can be substituted instead of flax seeds. Cinnamon or cardamom can also be added for flavour. If you need a sweeter milkshake then add in refined sugar or honey as per taste. Add milk and banana into a blender. Add in Flax seeds and blend them into a smooth paste.